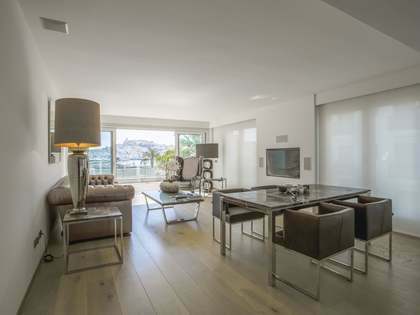 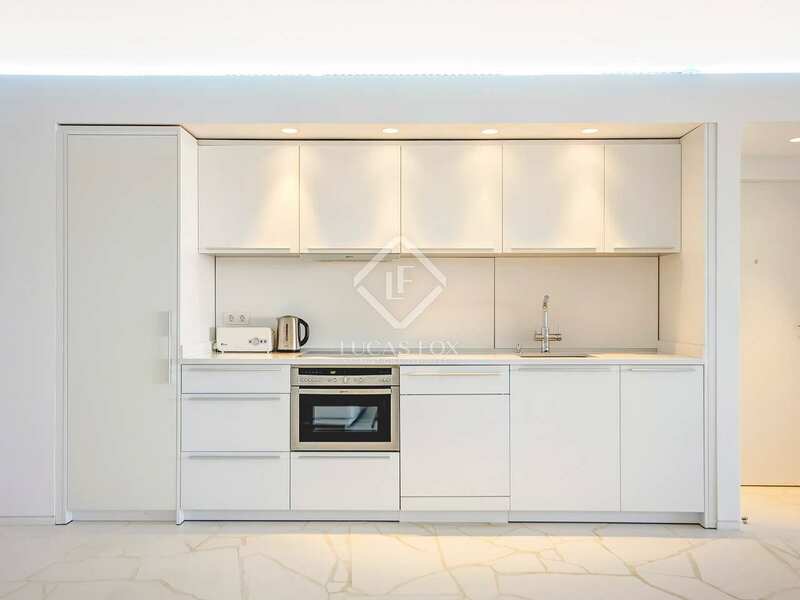 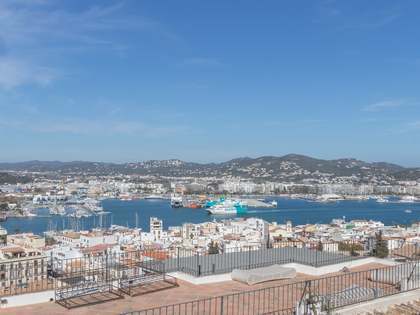 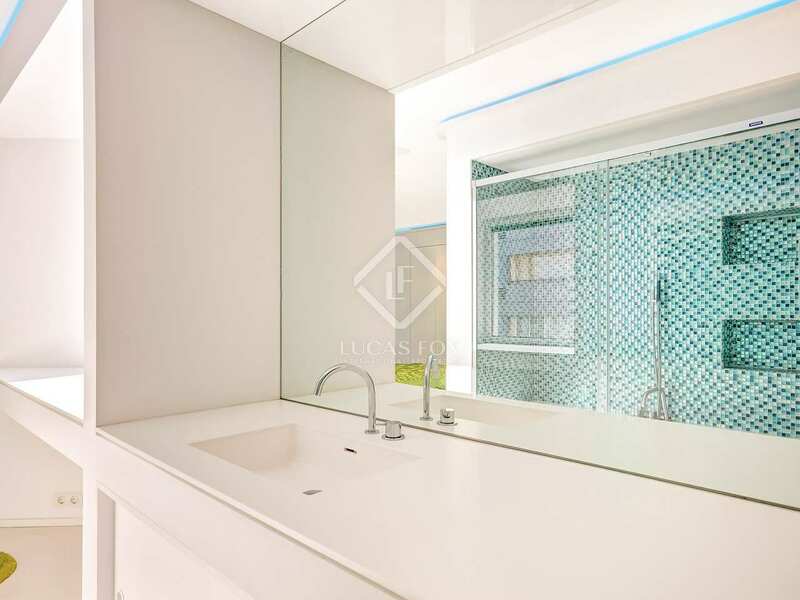 Incredible luxury apartment with 3 bedrooms and a large terrace in front of Marina Botafoch, Ibiza. 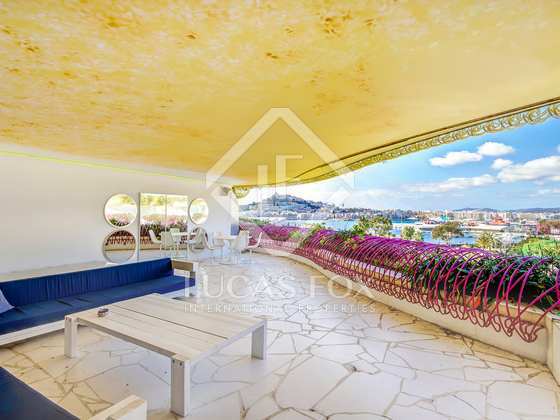 Stunning fifth floor apartment in a landmark building by the famous architect Jean Nouvel in Marina Botafoch. 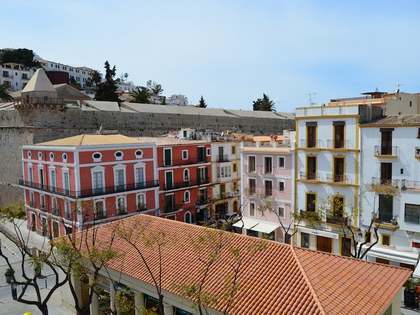 This is a prime location in Ibiza Town, close to the best clubs and restaurants, the beach and the old town. 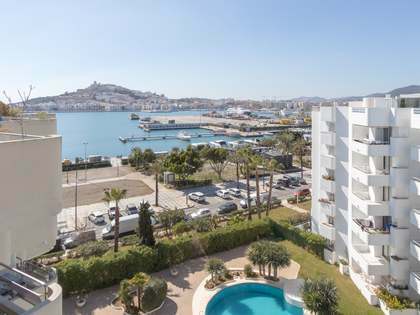 This prestigious residential complex with stunning colourful balconies boasts a communal gym, sauna, Turkish bath and a gorgeous oasis-style pool with views of the harbour in front of it. Being on a high floor, this 185 m² property enjoys peace, privacy, light and good views of the sea and harbour. 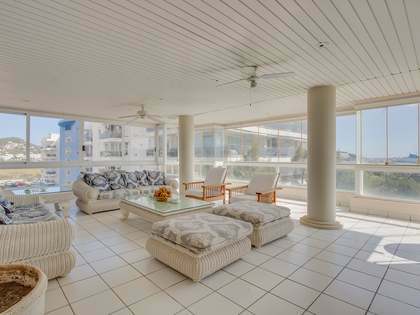 A lift takes us directly to the property. 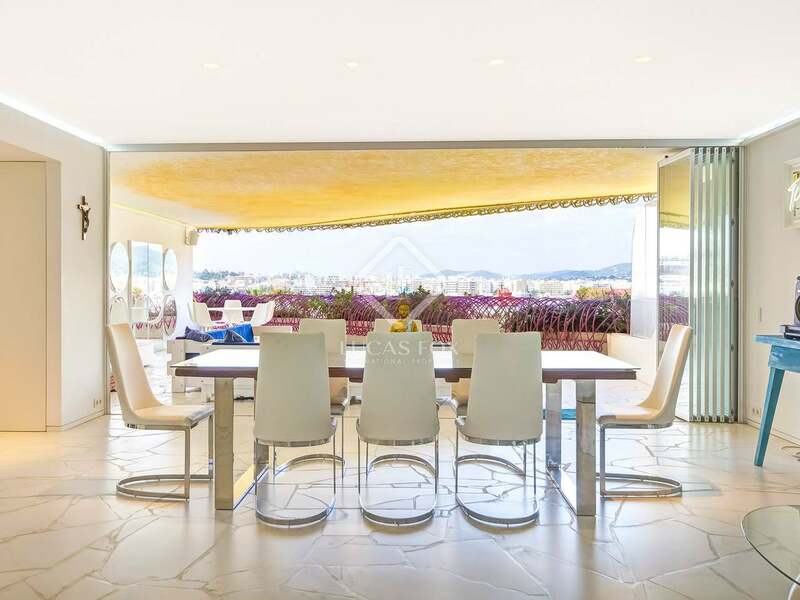 Inside we find a kitchen and a huge living and dining area leads out to a generous 65 m² terrace with more than enough space for a dining table and sun beds. 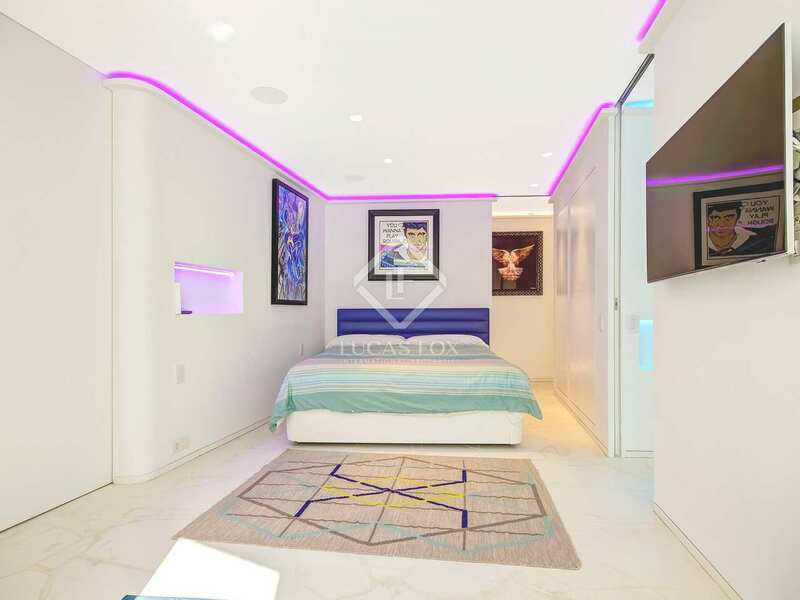 The current owner has renovated the apartment with spectacular modern results and has created 3 extra spacious bedrooms from the original 4 bedrooms. 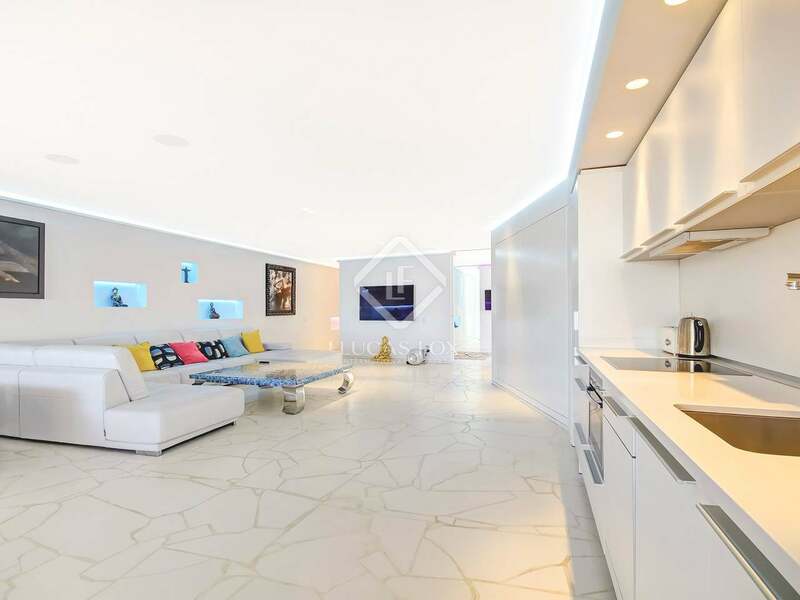 The property has 3 bathrooms and benefits from solar panels for hot water. 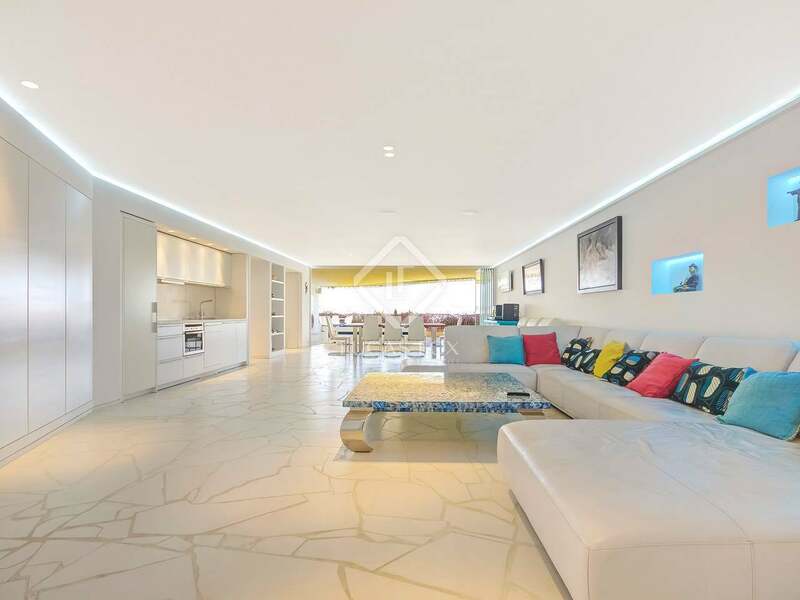 Presented in excellent move-in condition, this sophisticated marina-front home would be ideal for a boat owner or anyone who appreciates luxury finishes, views, great communal facilities and a prime location. 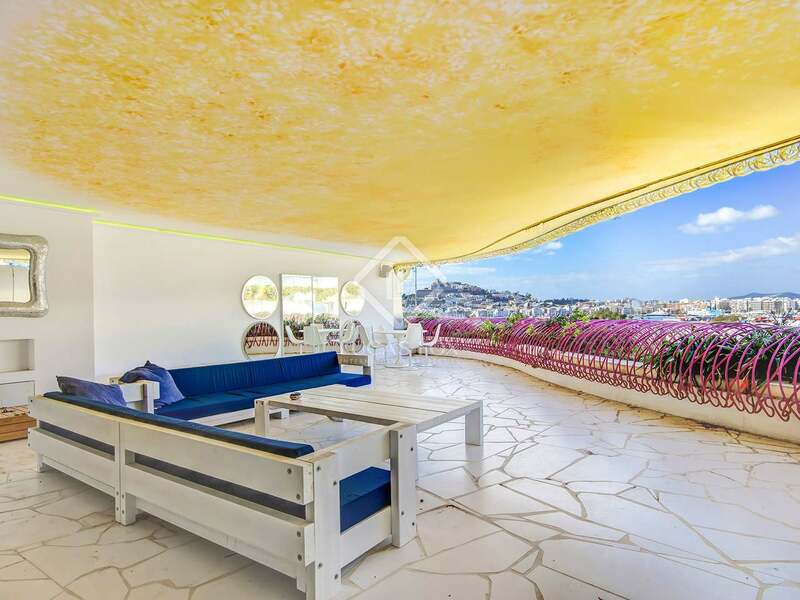 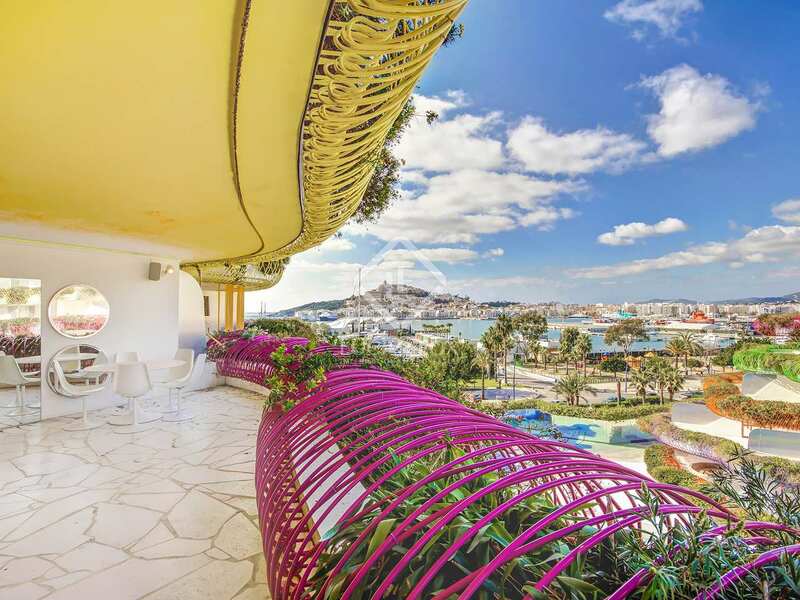 Apartment located on the fifth floor of a landmark building in front of Marina Botafoch, Ibiza. 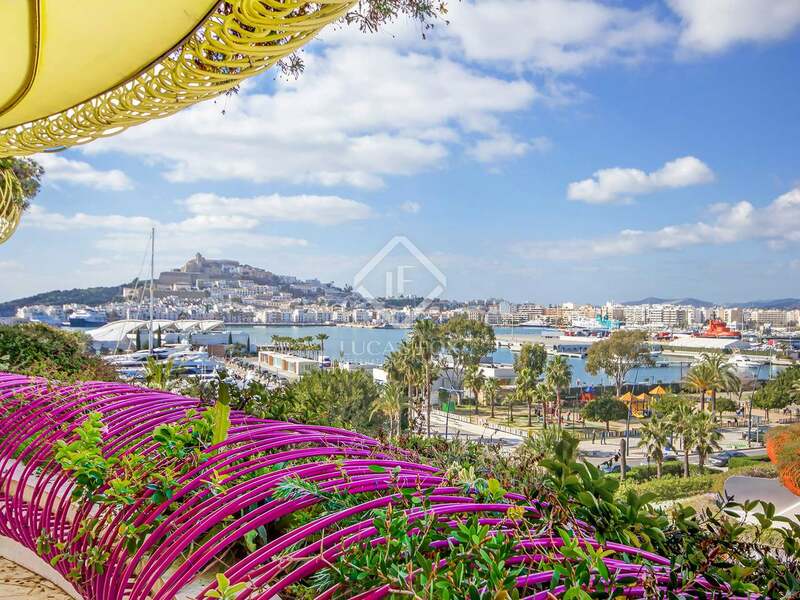 This is an excellent location for quick and easy access to the harbour, beach, old town and the best clubs and restaurants in Ibiza Town.